Have you recently considered getting Botox treatments? Perhaps you've heard about the widespread benefits of Botox. Today, the injections are being used to treat such a diverse range of conditions that, in 2017, Time Magazine published an aptly-titled article as "Botox: The Drug That's Treating Everything". The American Academy of Plastic Surgeons reported an 817% increase in Botox treatments over the past seven years. In 2000, there were approximately 786,000 of these treatments performed. By 2017, that number rose to well over 7 million. There are plenty of reasons contributing to the increase in the number of Botox treatments performed. Patients and medical professionals have begun to see more and more advantages tied to these procedures. As a result, there are more patients requesting treatments and more physicians recommending them. Here are five ways people benefit from Botox in Baton Rouge! If you've been wondering if Botox injections might be right for you, you're in the right place. It's no wonder that you and many other men and women are now considering Botox as a viable solution to a variety of medical and cosmetic issues. There has been extensive coverage on the multiple uses of the procedure, and its correlating advantages. If you aren't familiar with how Botox works, it might come as a surprise to know how many benefits it offers. Here are five of the top reasons people are turning to Botox for the first time, and why you might want to consider the procedure for yourself, too. Once upon a time, men and women thought of Botox primarily as a purely cosmetic procedure. 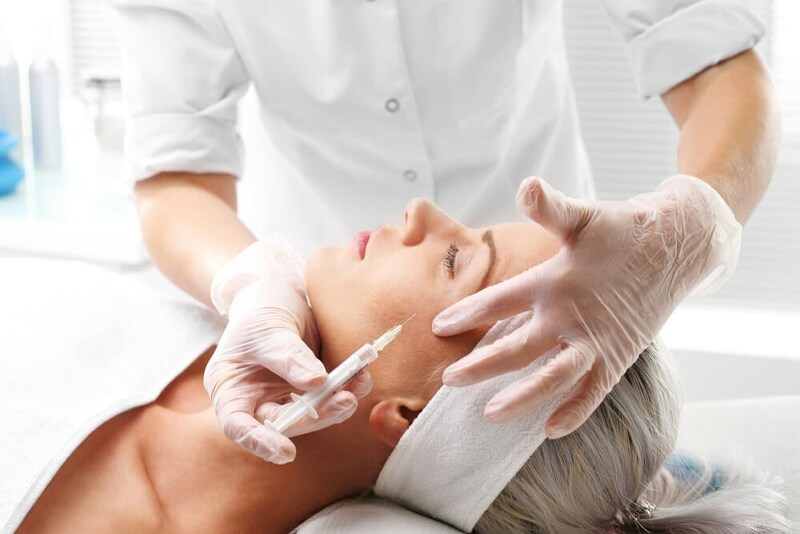 While it does aid in the improvement of one's appearance, now there are plenty of additional health and medical benefits connected to Botox usage, as well. In fact, a 2017 Time Health article reports that Botox is FDA approved to treat at least nine medical conditions. These treatments are in addition to its several approved cosmetic uses. Here are five of the top reasons new patients are turning to Botox as a potential treatment. If you are among the millions of Americans who suffer from chronic or intermittent migraine headaches, there's a good chance that Botox might be able to help. In 1992, a Beverly Hills surgeon made a remarkable discovery. He observed that patients receiving Botox treatments experienced a reduction in reported migraines. As it turns out, this Beverly Hills doctor was onto something. In 2010, Botox received approval to treat migraines and has been helping to cure aching heads ever since. So, before you reach for a pill to take your head-pain away, you might want to consider Botox instead. The treatment lasts longer than typical migraine medications and only takes a few minutes to perform. One of the first approved uses for Botox was to relieve strabismus, a syndrome that affects about 4% of the population. This syndrome causes one's eyes to not line up in the same direction. Strabismus is most often diagnosed in children but can affect adults as well. Historically, treating strabismus has been difficult as physicians have been unable to pin down its' root cause. Most experts now believe that the condition is neurological. Medical professionals continue to seek answers, hoping for new discoveries that might aid in its' treatment. While this is one area that has yet to gain FDA approval, Botox has shown promise in clinical experimentation as a treatment for depression. A 2014 study revealed that 74% of people with depression reported a drop in symptoms after receiving Botox. Only 15% of people who had received the placebo treatment reported improvement. Currently, Allergan, the manufacturer of Botox, is conducting clinical trials to find out the rate of effectiveness of Botox in treating depression on a consistent basis. If their findings prove Botox to be successful, then this will provide a new option for relief for those suffering from depression. In a study conducted by Linda Brubaker, Loyola's Dean and Chief Diversity Officer, Botox helped 70% of patients with bladder-control issues. In fact, these patients reported a 40% reduction in leakage incidences after treatment. In the study above, Brubaker claimed that Botox was one of the most effective treatments she had found for overactive bladders. Everyone sweats on a daily basis, but it's worse for patients who have to actually deal with excessive sweating on a regular basis. Excessive sweating causes people to sweat profusely, even if they are in a relaxed state. For those diagnosed with a condition called primary axillary hyperhidrosis, which causes overly sweaty hands and feet, Botox might come as a welcomed relief. The FDA approved Botox as a treatment for the condition in 2004. Ready to Experience the Benefits of Botox for Yourself? Botox in Baton Rouge is a highly-sought procedure that's used by many people to treat a wide range of cosmetic and medical issues. And, it can treat yours, too. Find out why Botox is one of the fastest-growing treatments available on the market. The office procedure is often performed in less than an hour, yet it's capable of producing long-lasting and effective results. No matter what your reason might be for considering Botox, we can help you achieve your goal. Contact us today to make an appointment with our experienced Baton Rouge professional staff. See for yourself the difference that Botox can make!